Keywords: Unending Night, Whom the Gods Would Slay, Almuric, The Unfrozen. Actually, they’re all new to me, though I may have seen that “Whom the Gods Slay” before. 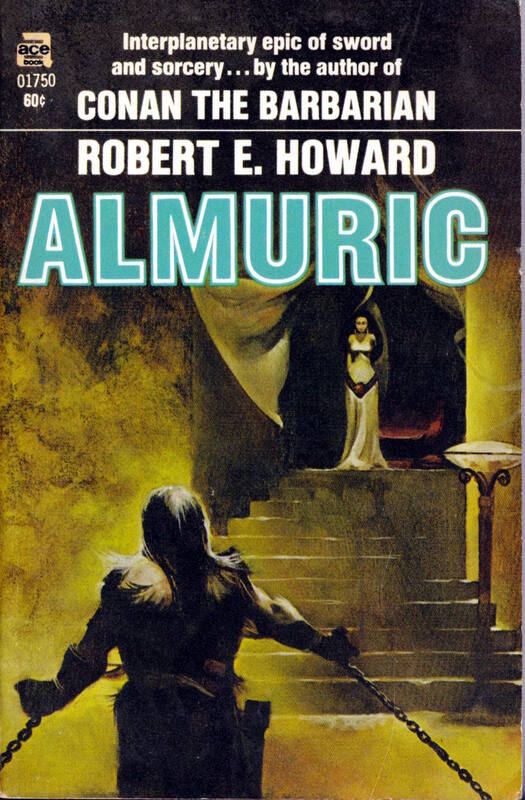 Interesting “Almuric” cover by Jones; it looks a little like Frazetta’s “Conan the Usurper” cover, at least the pose. I have the Ace 1964 edition (40cents!) 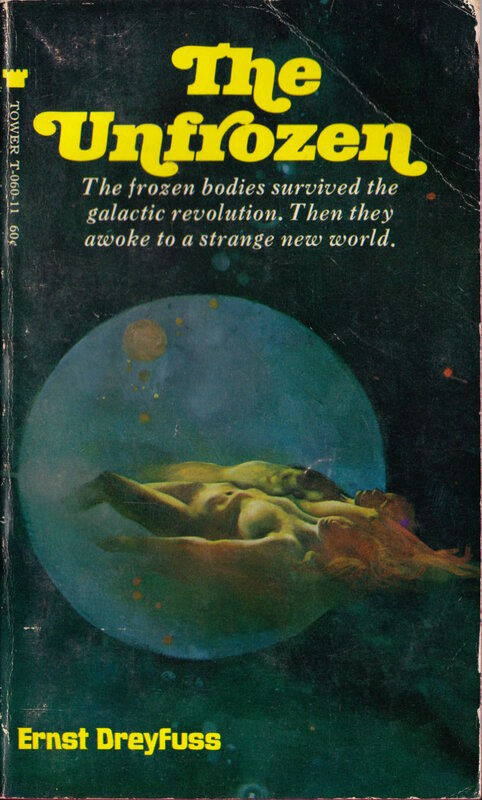 of Almuric, and I don’t know who the cover artist is, though I think it may be Grey Morrow. Also there is a pen & ink illustration on page 5, the foreword. Perhaps you may know? Hi Clayton! I did a little searching, and it seems to me that the artist who drew the illustration on page 5 of the Ace 1964 edition (F-305) of Robert E. Howard’s Almuric (1964) is also the artist most likely to have painted the cover, and that artist is Jack Gaughan. Thanks! 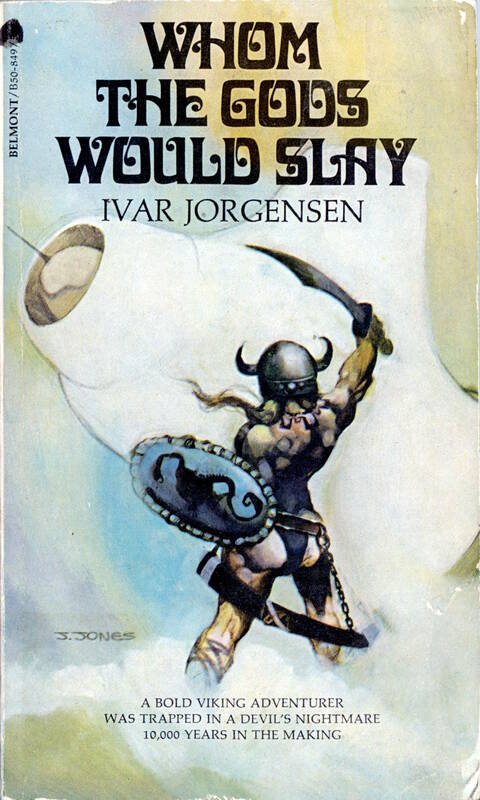 Though it’s not that I’m a huge fan of his art, it’s that I’ve had that book so long and have read it and looked at the cover so many times since childhood, it’s ingrained into my soul. 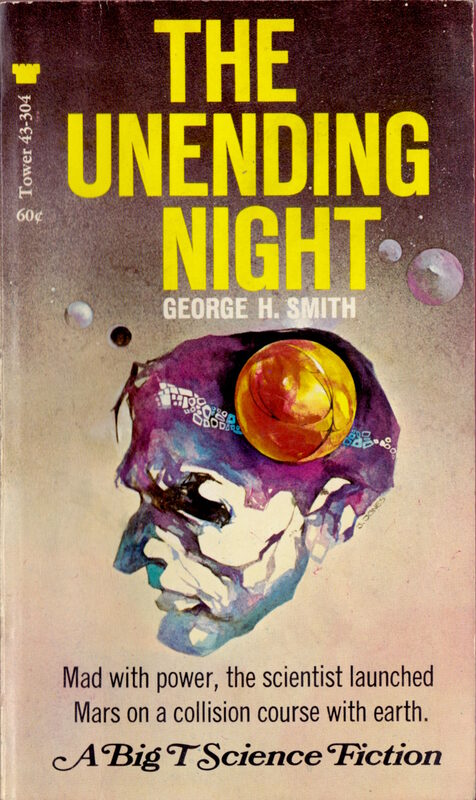 And looking at that link, I saw many of his covers that I’ve either seen before or have in my collection…and really, he’s got that cool 60s paperback style, somewhat abstract. Thanks RC!